For our early learning students, every moment is filled with new ideas, quiet wonderings, and exciting discoveries. When our preschool and kindergarten students explore our campus eco-garden, watch kites soar in the wide sky, or build imaginary worlds, they discover that what they say, think, and do matters. Our program looks like a lot of fun to the adult eye because we believe that children learn best when they’re truly engaged. Through a Reggio Emilia-inspired approach and a focus on inquiry and self-guided learning, students ask questions, investigate, and learn about things that genuinely matter to them. Three-year old PP1 students and four-year old PP2 students attend our early learning program daily from 8:30 a.m. to 3.30 p.m. There are multifarious activities in our daily schedule, offering our children time to be curious, to play, to wonder and to learn. 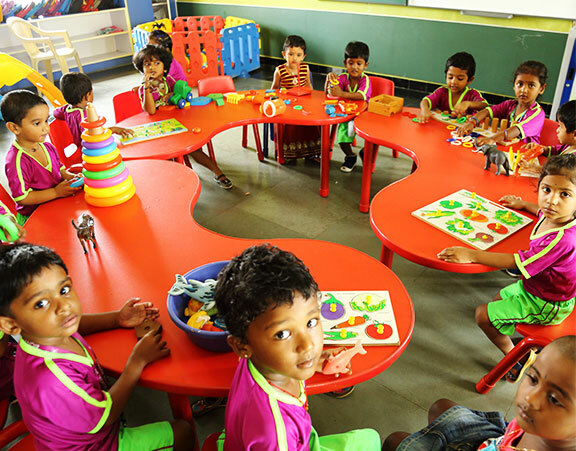 Throughout the day, our young learners work independently and in small groups, visit hands-on exploration stations, stretch their muscles during two daily outdoor play times, take field trips throughout the wider campus, and enjoy Kinder music lessons and daily perceptual motor skills development. Our concept-based curriculum allows kids to connect, explore, and relate through their own interests, and by listening to those interests, we provoke their thinking. Elementary school at GTVM is a place where the foundation of learning takes hold, and where we have the rewarding job of fostering and challenging students to maintain their curiosity and creativity while extending their self – confidence and self – advocacy. A daily schedule of core subjects in reading language arts, mathematics, world languages, science, and social studies is punctuated by specialist classes in art, music, physical education, technology and library use. Experiential learning outside the classroom through field trips and community service inspires students and enriches the curriculum. From the earliest grades, GTVM students are active learners; students learn to analyze and question across subject areas, and learn to express themselves in writing, presentations, and discussions. Our middle school students have the space to grow and find themselves in a unique and welcoming environment guided by teachers who particularly enjoy working with this dynamic age group. Each grade has an interdisciplinary team of teachers that support the academic, social, and emotional needs forming strong and trusting relationships with students and families of all students. The core middle school academic comprises of reading, language, arts, social \ studies, math, science, physical education, health, and other language which include project-based learning to provide real-world experiences that allow students to conceptualize, apply, and reflect new learning. 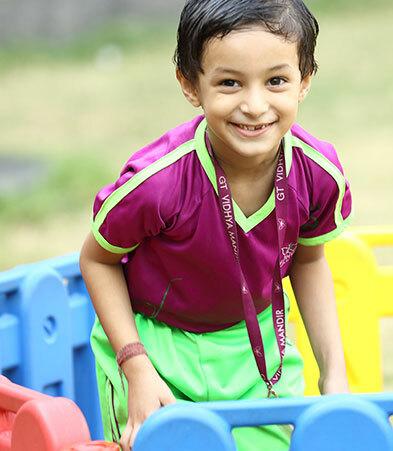 Co-curricular activities like Robotics, music, IT, Butterfly fields, strategic learning are just a few of the exploratory and innovative programs that capitalize on students’ interests and extend their learning. 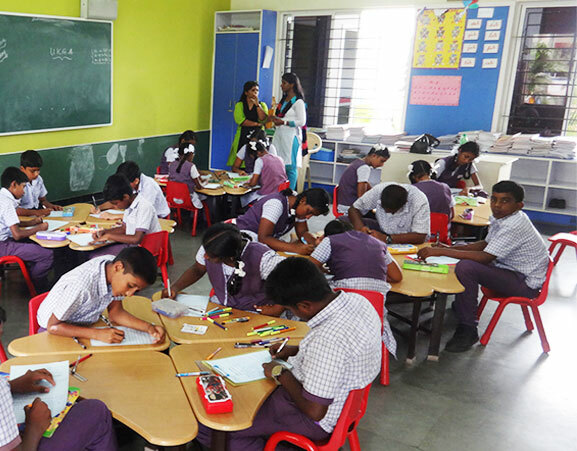 Co-curricular activities like Robotics, music, IT, Butterfly fields, strategic earning are just a few of the exploratory and innovative programs that capitalize on students’ interests and extend their learning. We believe education should be more than the accumulation of knowledge. Learning at GTVM is a process of discovery and transformation through pursuing individual passions and encountering new ways of viewing the world. 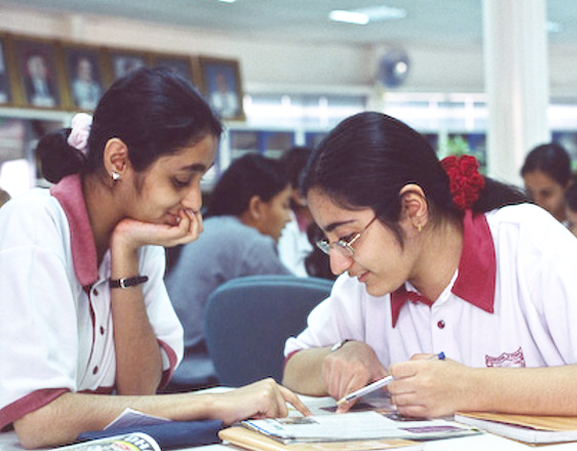 Flexibility and academic program personalization are the hallmarks of an exemplary Central Board Secondary Education (CBSE) system. Research shows that students learn best when they are connected to the life of their school and to the adults there who guide them.